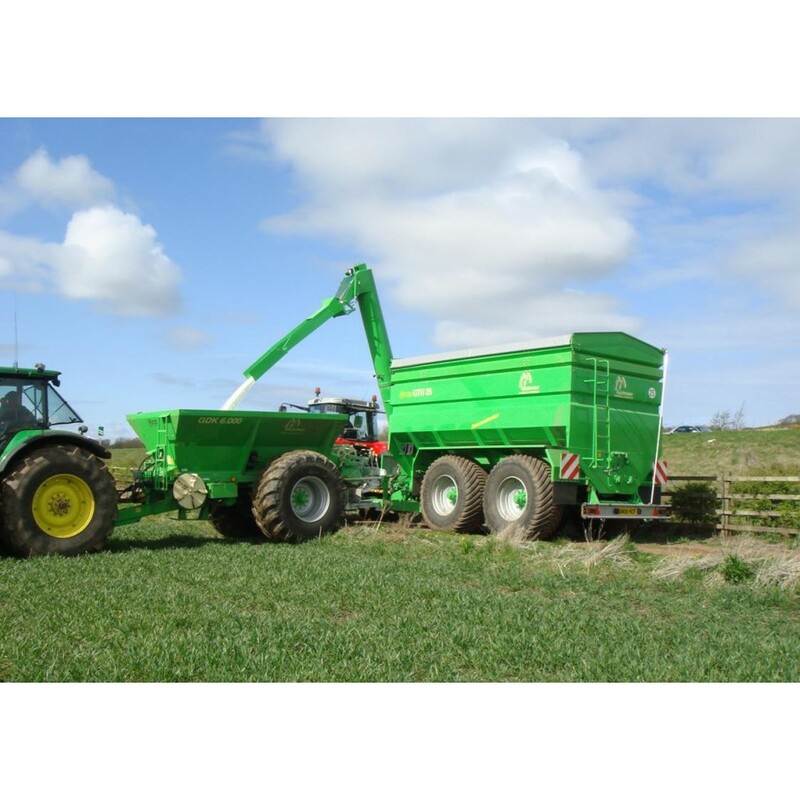 Güstrower Chaser Bins For Grain, Fertiliser & Seed. Four models with capacities of 16, 20, 25 & 30 Tons. 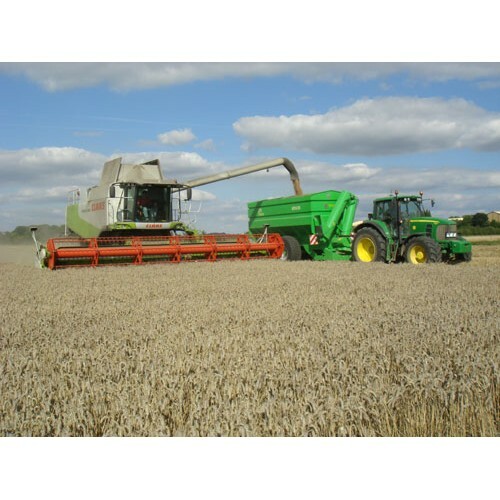 High capacity unloading auger with full length hopper auger both driven by the tractors PTO with discharge rates of 9-15 cubic metres per minute (7-12 ton/min wheat). Internal hydraulic shut off of material from auger allowing control of emptying speed ideal for dense materials such as fertiliser. Folding discharge auger with up to 4.67m discharge height and accurate flow of discharge from the steel chute aids loading especially in windy conditions. Opening slide full length of hopper for easy cleaning. 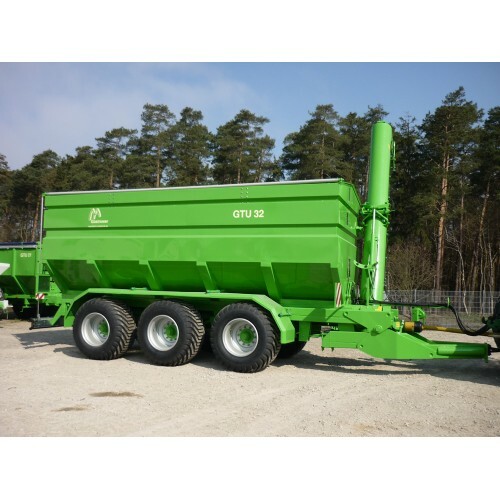 Single, twin or tri axle configurations with low ground pressure tyres and steering on multi-axle machines. 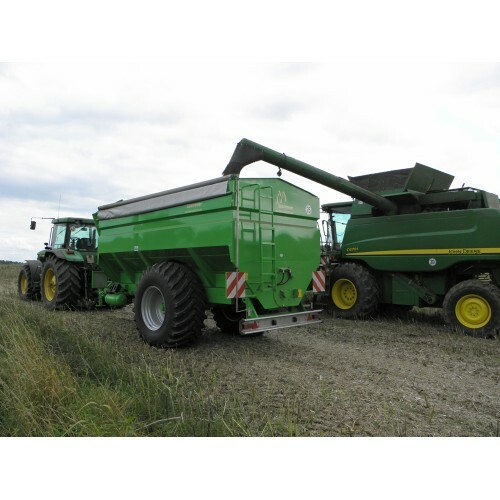 The Güstrower Chaser bins offer a cost effective solution to increase efficiency with modern large capacity combines. 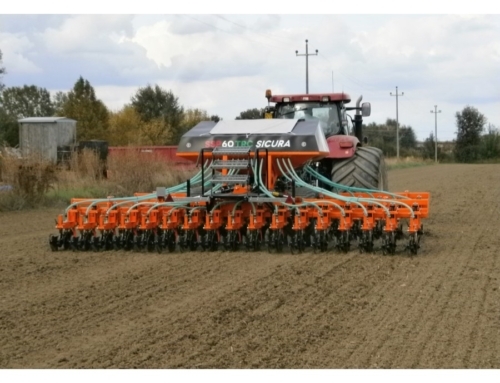 Not only that, but to increase productivity still further all models are also equipped to operate with both fertiliser and seed corn to increase efficiency post harvest when transporting seed to large drills and also in spring and summer to speed up the fertiliser spreading season. 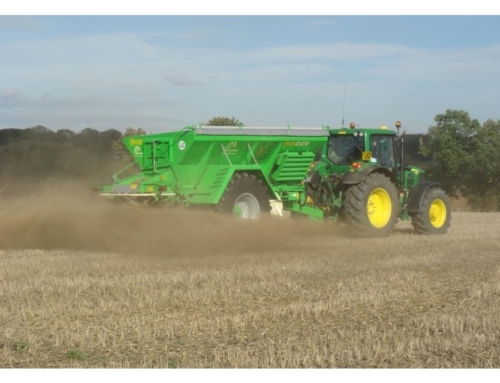 As standard, all models are fitted with internal hydraulically adjusted slides which can fully close the entire length of the hopper auger to give precise control of material transfer speeds. 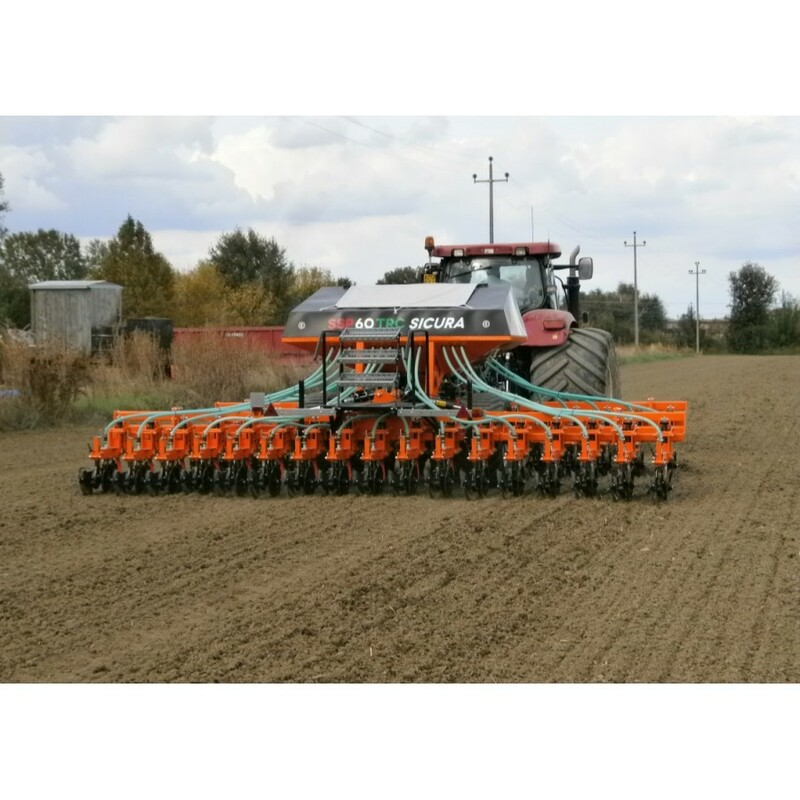 The full length hopper auger and tipping auger are driven by the tractors pto at either 1000 rpm for maximum transfer speed or 540 rpm when used for drill and spreader filling. A full length opening door underneath the hoppers auger allows for complete emptying and easy cleaning between different materials and at the end of the season. 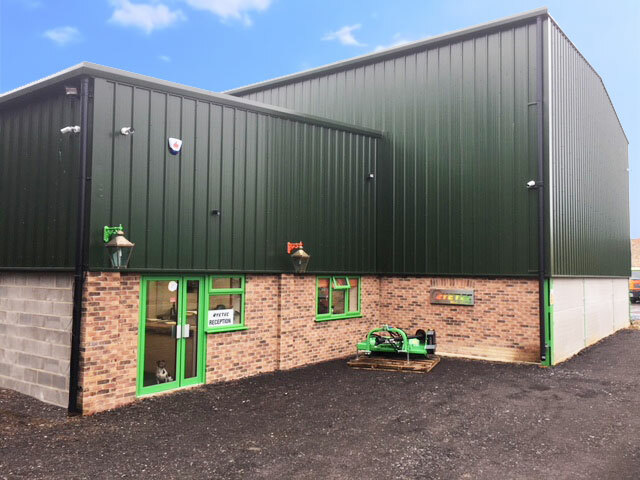 The Güstower’s are built with strength and durability in mind, heavy duty chassis and axles, multi axle models also have spring suspension and steering axles to minimise ground damage, tyre wear and minimise tractor size required to operate the units effectively. 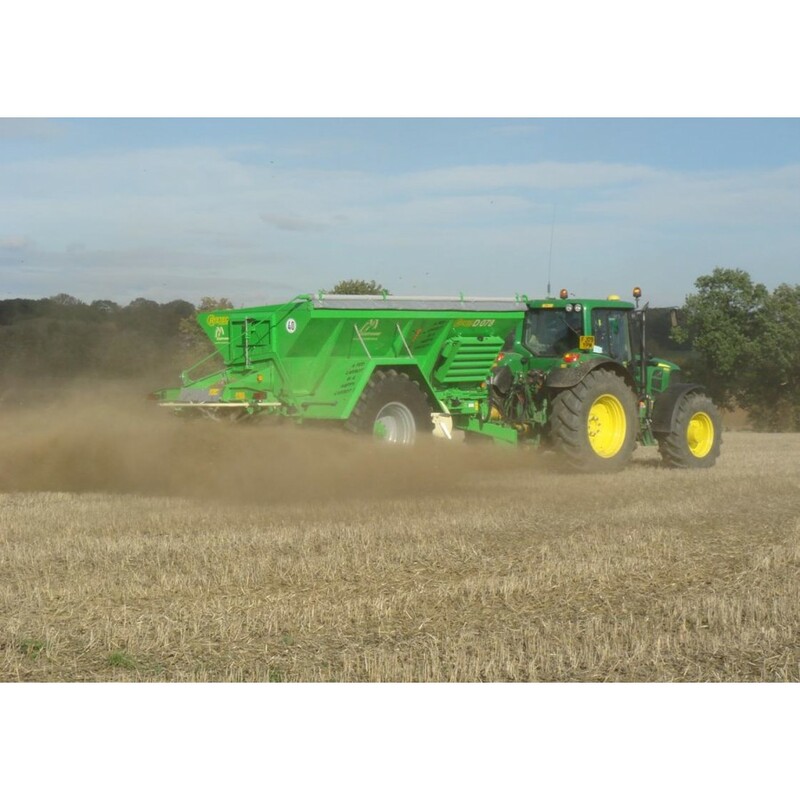 Large diameter low ground pressure tyres keep the machine moving even in the wettest conditions and efficient hydraulic or no cost option air brakes stop everything safely. 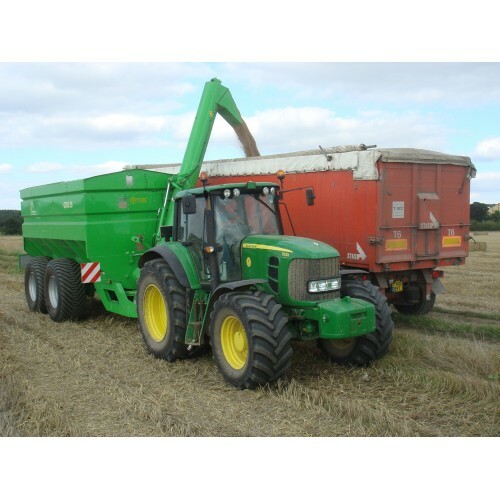 The tractor driver can easily monitor the loading and unloading operation through clear windows in the front to the hopper, optional internal CCTV and lighting can also be specified to improve this. 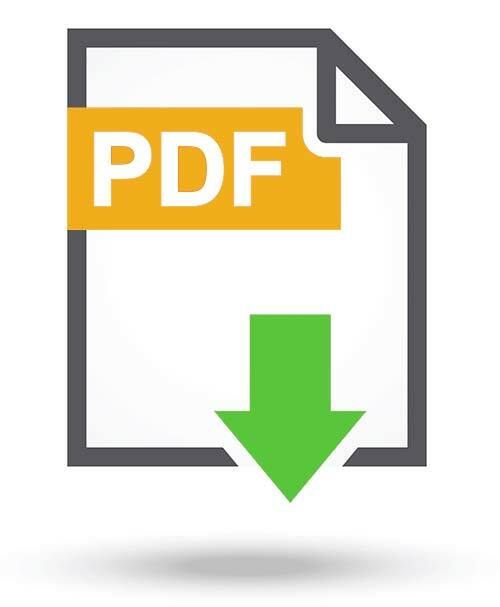 External indicators show the position of the internal hydraulic slides and all major drive components are simple and easily accessible for routine maintenance. A low centre of gravity keeps the machines stable and gives a maximum width of 2.8 metres on standard tyres, ideal on narrow lanes.